Batya Wan — CFT Engineering Inc.
Ms.Wan is a Project Manager and Building and Fire Code Consultant who has been a member of CFT Engineering Inc. since January 2011. Ms.Wan is registered as an Applied Science Technologist in the Province of British Columbia, with the Applied Science Technologists and Technicians of British Columbia (ASTTBC). Ms.Wan is a chapter member of the local BC Chapter of the Society of Fire Protection Engineers (SFPE). Over the past 7 years, Ms.Wan has provided Building Code and fire protection engineering consulting services to the development community, architects, and engineers. These services have included the research of active and passive fire safety systems for project specific alternative solutions and fire protection system upgrades, the preparation of Building Code compliance reports, the review of drawings for Building Code and Fire Code compliance, the review of sprinkler shop drawings, field review of construction for Code compliance and confirmation of alternative solutions, mark-up of Code compliance drawings for building permit application, and the coordination and review of Certified Professional Program documentation and drawings for building permit submission. Her project experience include Building Code compliance review of large commercial and residential high-rise developments, mid-rise residential buildings, townhouses, institutional buildings, industrial buildings, tenant improvements, upgrade of existing buildings and review of Fire Code compliance with respect to the storage and handling of dangerous goods, flammable and combustible liquids, and hazardous processes and operations. 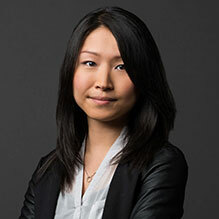 Ms.Wan has extensive project management experience with the Certified Professional Program building permit process for buildings and tenant improvements within the City of Vancouver and City of Surrey.